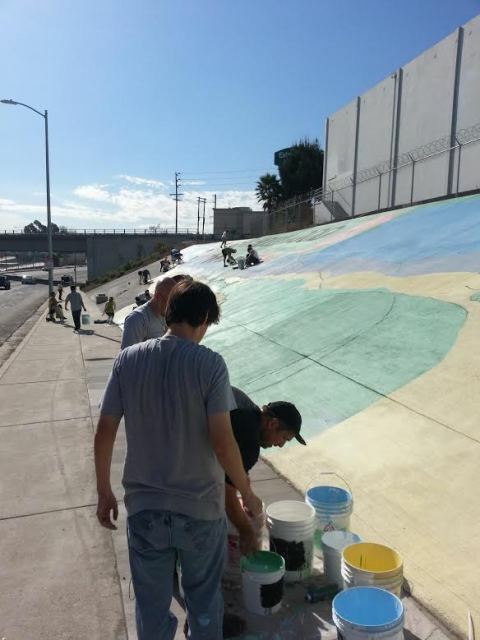 This past Saturday, the Vintage North Hollywood mural moved a step closer to completion with the help of some dedicated and artistic volunteers. 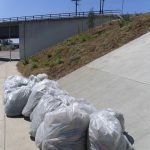 When the call went out, they chose to spend a lovely Saturday morning making their neighborhood a more beautiful place with a vast concrete canvas on Whitsett. This was the second day of public painting. Of course, regular readers will already know this from another article on this website. Councilman Paul Krekorian of CD 2, who has been leading the mural effort, has also announced a planned dedication date on November 15th. Our own Neighborhood Council, partnering again with our neighbors at NoHo West NC, will be helping to support this event. 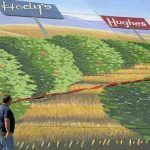 To follow the developments on the mural, keep watching right here. Or follow #nohomural.